Agilent Technologies has introduced its N9000A CXA signal analysers, a pair of low-cost models that offer frequency coverage up to 7.5 GHz. These new analysers provide outstanding flexibility through a variety of built-in and optional measurement capabilities that can be easily configured and reconfigured to meet present and future requirements. Target applications include general purpose electronics manufacturing, low-cost R&D, and RF education. The versatility of the CXA analysers starts with built-in one-button measurements and grows with optional advanced measurement applications. The library of measurement applications includes preconfigured test routines for noise figure, phase noise, analog demodulation and more. To ensure measurement consistency, the applications are virtually identical to those that run on the Agilent EXA, MXA and PXA signal analysers. For greater flexibility, the Agilent 89600 vector signal analysis (VSA) software can run inside the instrument, providing advanced analysis of more than 50 demodulation formats. On the production line, the CXA is up to 200 percent faster than other low-cost analysers, providing the speed needed to increase system throughput and reduce system count. For example, the CXA can return a peak-search result in less than 5 ms and perform a remote sweep-and-transfer in less than 6 ms via LAN. Switching between measurement modes typically takes less than 75 ms. 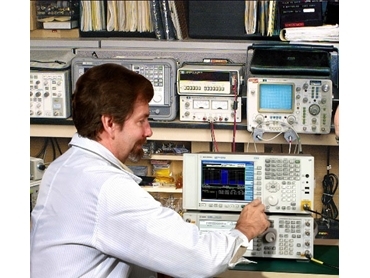 The affordable CXA signal analysers also offer great specifications. Key examples are (0.5 dB absolute amplitude accuracy, +13 dBm third-order intermodulation (TOI), -161 dBm displayed average noise level (DANL) and 66 dB W-CDMA ACLR dynamic range. Frequency coverage is 9 kHz to 3.0 GHz or 7.5 GHz with the N9000A-503 or N9000A-507, respectively. The CXA is the low-cost member of the Agilent X-Series signal analysers. Comprised of the PXA, MXA, EXA and CXA, the X-Series is an evolutionary approach to signal analysis that spans instruments, measurements and software. It provides the flexibility to address business and technical requirements across multiple products and programs - now and in the future. The X-Series also provides a consistent framework for signal analysis, enabling teams and their projects to move at a faster pace.